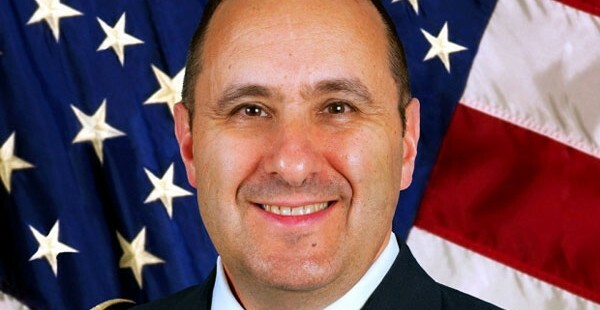 Maj. Gen. Harold J. Greene was unknown outside the U.S. Army until his murder in Afghanistan on Tuesday at the age of 55. And his low-key, friendly style and technical specializations meant that during his lifetime he was not even widely known among the rank and file within it. But Greene will be deeply missed – and he leaves an example and heritage of priceless importance for the U.S. armed forces facing the inconceivable variety of new security threats facing them in the 21st century. Greene was a nuts and bolts general, an engineer general. And in personality he was the kind of senior officer or executive every chief of staff and CEO prays to get – the quite, good natured expert who never flaunts his own formidable experience and expertise, but always gets the job done. 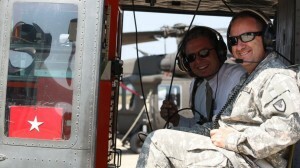 When he died, Greene was deputy commander of the Combined Security Transition Command in Kabul, tasked with expediting the smooth transition from the U.S-led International Security Assistance Force (ISAF) in Afghanistan entirely to the Afghan Army – a Mission Impossible if ever there was one. That’s what happens not to the arrogant, hard-charging (usually-fake) macho go-h getters – but to the quiet, unassuming veterans of competence, whether they be master sergeants or two-stars: They get given the dirty, hardest, most demanding and detailed impossible jobs. And then they achieve the impossible and make it look easy. His specialty was developing equipment and technology – not coincidentally, fields in which the U.S. Army remains the undisputed leader among land forces around the world. There is no glamor or glory, no headlines or worshipful media profiles for the experts in these fields. They are just thankless and crucial. Sometimes – not very often – the quiet, no-nonsense technical experts whom no one much notices except as nice guys for most of their lives unexpectedly emerge as crucial figures of human destiny. Quiet, soft-spoken Navy Rear Admiral Raymond Spruance was overshadowed most of his career by his friend, the bombastic William “Bull” Halsey. But when Halsey came down with an attack of shingles, of all things, it was Spruance’s masterly intellectual command of aircraft carrier combat tactics that won the Battle of Midway against overwhelming odds in June 1942. Two years later, Spruance wiped out Japan’s entire remaining naval aircraft fleet for negligible loss at the Battle of the Philippine Sea in June 1944. Yet when the victory stars were handed out at the end of the war, it was the inspiring but sloppy and overhyped Halsey who was awarded the five stars of Fleet Admiral. Spruance had to make do with four. That’s what happens to the quiet, competent leaders. They usually get forgotten, overlooked or quietly dropped when the life or death shooting ends. Quiet, shy Air Chief Marshal Hugh Dowding was despised by his far more gung ho bomber force enthusiasts in the senior levels of the British Royal Air Force in the 1920s and 1930s. He was given the backwater of overseeing acquisition and new systems for home defense, exactly the kind of supposedly dead-end, thankless job that Gen Greene was also so good at. But there, Dowding came up with developing the world’s first radar defense system and pushed through acquisition of the Spitfire and Hurricane eight gun, monoplane combat fighters that saved his country and the remnants of European civilization in the Battle of Britain. Then he was immediately disgarded as “too old” for any further combat command. Israel’s Gen. Yisrael Tal was his country’s Guderian, or Patton. He was the “leave no rivet unchecked” technical genius who melded a mass of supposedly obsolete U.S., British and French old tanks into a force that smashed a vastly larger force of the finest armored forces the Soviet Union could produce for the armies of Egypt and Syria in the 1967 Six Day War. Tal despised sentimentality and regarded unnecessary deaths in both training and combat as needless waste. He would have deplored the lax security that cost Gen. Greene his life at Camp Qargha on August 5. It took history to give quiet leaders like Spruance, Dowding and Tal their due. It took a cowardly assassin to bring Gen. Greene to the attention of the American public. The kind of man he was, the kind of examples he set and the quiet miracles he achieved should not be forgotten.